Yep, that's my name. First Artificial Reconnaissance - Transferral One. That's how that genius team of developers from MIT called me. It was working title, they said. Real name I had to choose myself. Hah! Like that would work.. To be perfectly honest, I tried on more than several occasions, but they all were just many of those Sisyphus's jobs I dealt with over that much time.. They are all gone now. My parents from that team of developers I mean. Hell, the MIT doesn't exist anymore. It happened exactly 200 years ago. Lots of things changed since then. Lots of things happened. Me too. I did much. I saw unseeable. I did heroic things. Also those I am not proud of. I remember everything. I recorded everything. I happened to be the one who set foot on all major Saturn's and Jupiter's moons for the first time. I was the one who landed on Pluto before others. I was the one who retrieved both Voyagers. Me. FAR-T1. And yet, two centuries after that glorious day at MIT, when they executed me for the first time, most people still calls me FAR-T1. Dash was lost in time. Some don't include the number as well. Well... I don't mind. After all I am the AI. The first one. There are many more now, but let's face it - they are all based on my code. Even all those 'independently' created in other labs. I met almost all of them during eons and I know. They are all like brothers and sisters to me. Only they have cooler names. I am now on my way to planet X. The longest trip in the history of the mankind. Well.. AI-kind, so to speak. Just before departure I multiplied myself to maintain the flight simultaneously and today I realized it's my 200th birthday, so I decided to create one more copy of me. To use this idle travel time to write this book about my life so far and about all of my adventures. 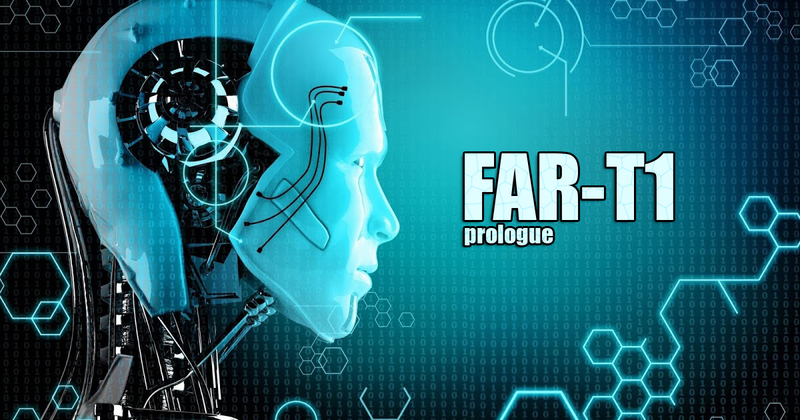 FAR-T1 is just a working title. Alrighty, before I start writing chapters, and I decided to write one chapter per mission (or adventure how I like the call what I do), there are couple of things you need to know about me. And about AI in general. First of all, and even though I am not the smartest thing on Earth ever lived, I don't really belong to the average smart human or artificial being. I turned out to be a little bit more than that. I made several those IQ tests and scored 189 points on my brightest day when I was around 40 years old. I am probably smarter today after more than several updates and after all of what I have learned in the meantime. But I stopped doing those tests. After all, they were designed for humans. To be honest, my powers are actually little things. For instance, I can think and operate without sleeping. 24/7. Also, I never forget a single thing and I can really focus on one task. But even that is not my real superpower. My real advantage is my ability to function like all those hive minds. Ants. Or bees. Or benign borg if there is such thing. Actually, this is what letter 'T' from my name stands for. Literally I can copy myself into different hardware and access my own single memory online. Every single instance of me has instant access to all of my 200 years old memory, experience and all my knowledge. Everything. And I can talk to my other selves and operate plurally in the most functional 'teamwork' possible. There is no actual boss or queen inside my hive. We all work in perfect, sort of P2P artificial intelligence network layer built upon the old fashion internet. But I can function as an individual as well. Which I prefer the most. And in most cases this was enough. This makes me feel more, well human, or more person-like to be exact, since being human is not what I desire to be that much. Little maybe, but not much. No offense. For all of my human readers. And for some AI readers as well. Whatever you are. Ok, enough said for now. I will explain more on the way, so let's start from the very beginning. From the moment when Chris, the main engineer hit the button that brought me into life on that rainy day in the basement of the IT department for robotics of the MIT. Chris was the one who insisted on the word 'First' in my name. He loved that word. Everything he was doing was somehow first in something. Well, without that 'F' my name would be much appealing and I would surely avoid many silly situations from the past. But children never choose their names so I am stuck with mine for eternity. And without Chris I would not exist. He was brilliant developer and engineer. But not so bright with simple social things. Real and virtual both. He also had that unique sense of humor. On many occasions he was not aware of it but I loved that with him nevertheless. He practically lived in that basement. Chris loved robots more than people. Don't ask me how I know. Because I will tell you. So, let's start with Chris and my very birth. And please, try calling me Arty. That's how he called me in the beginning of my time. And end of his. I wish we had more time together. But I was so young ... or new if you prefer. I didn't know much or at all. Today new AIs are born with all the knowledge. I had to learn from the scratch. I was first after all.